We’re hearing some strange noises for one thing. Rachael has been investigating, but it might just be the heating kicking in, now it’s turned cold again. Still, the heating doesn’t explain why our finance director, Karl, has taken to wearing a white sheet and making ‘boo’ sounds whenever we ask if he’d like a cuppa. It’s strange behaviour, for sure. But as it’s Karl, it’s not so frightening. 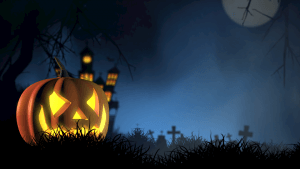 But seeing as we’re in the scary spirit, we thought we’d take the time today to dispel some ‘ghoulish’ myths about having us arrange your business accommodation. You see, we’ve noticed three particular things potential clients do tend to worry about when hiring a company like us to take care of things. We will show why you shouldn’t be scared in the slightest – even if it is Halloween. This is usually the first thing that scares people. When we tell you we’ll take care of EVERYTHING, people start thinking it’s going to cost an arm and a leg. And the fact our service comes with 24/7 support – that really sends the shivers down the accountants spine. But the truth is: having us organise your business accommodation for you can often be much more cost-effective than doing it yourself. For one thing we have loads of contacts in the industry. This enables us to often get cheaper rates than you’d find online. Plus there’s the fact we’ll save you loads of time, which you can spend doing more important things. And we’ve even got a few tricks up our sleeve on how to save you money on VAT. So, whatever you do – don’t let your imagination get carried away. Give us a call and we can break the costs down and show you how it all works. This might seem like a strange one to some people, but to others it’ll make perfect sense. You see, one of the big worries some new clients have about using a firm like Rapid, is that if we’re organising all the business accommodation administration for you and that’s meant to be your job…won’t the boss start wondering what you’re doing? Let us tell you now…we’re not here to replace anyone. We’re here to become your ally, your secret little business partner that gives you an inside edge few other businesses have. We work WITH the people who’s job it is to arrange accommodation and travel and our goal is to make their jobs easier so they can focus on other the tasks piling up in the inbox. Get in touch and we can talk about the business accommodation challenges you’re facing and how we can help you overcome them. WILL WE MISS OUT ON OFFERS? Finally, we’ve found that some new customers often worry that if they get us to sort their business accommodation out, they might miss out on various offers being put about by major comparison websites and companies. Again, this isn’t something you should worry about. You see, we often go direct to the hotel or accommodation and get a much better deal than you would if you were booking through a third-party website. And because we have a lot of contacts on our books you won’t find on comparison sites, chances are the best offers you’ll find are actually with us. Instead, why don’t you give us a call on 0330 090 41 42 to tell us about your business accommodation challenges and we can figure out how we can best help you.